The Wanderers is Richard Price's first novel and one of his best; praised by everyone from William S. Burroughs to John Fowles particularly for it's realistic dialogue and accurate street vernacular, the story revolves around a group of teen gangs in the 1960's Bronx, New York City. One of the central characters is Richie Gennaro, leader of the Wanderers gang, and the story mainly follows his development, among other gang members, as he is forced to grow up and confront the real world in various ways. The Wanderers features an incredibly colorful cast of characters from around their neighborhood and rival gangs they must deal with like the Pips and the Baldies. 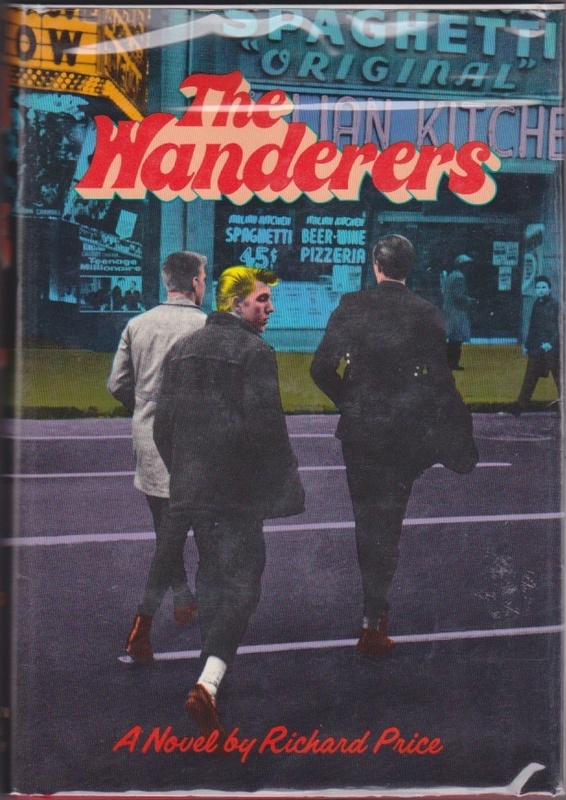 This first edition has amazing cover art done by veteran jacket artists Batten & Kreloff, but The Wanderers is well worth the read no matter what edition you come across. Thomas Pynchon's first novel, originally published in 1963, is a book that needs little introduction. 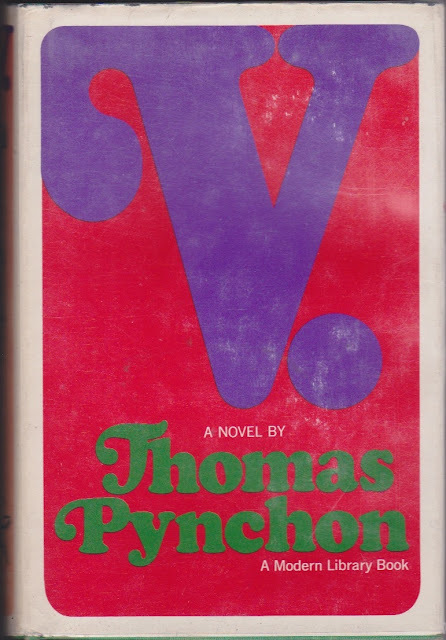 Pynchon and his work, although widely known, all fall under the categories of cool, weird, and rare, and this Modern Library edition of his first novel is particularly scarce. V. is probably the most concentrated embodiment of what would later be known as Pynchon's hallmark weird, and technically daring style. It is less complex than Gravity's Rainbow, not to mention shorter, but in my view V. is just as good and definitely easier to get through. One plot line follows sailor Benny Profane and hangers-on from the Whole Sick Crew, and the other follows Herb Stencil and his family's history with a mysterious woman known as "V." The intricately laid plots eventually converge on each other as the novel progresses, forming a V-shape itself as Profane and Stencil cross paths and band together at the end to find V. Pynchon's first novel also features an amazingly diverse cast of characters, many of whom appear more prominently in later works like Pig Bodine and Kurt Mondaugen, and different segments set in various parts of history from all around the world. V. marked the beginning of a new kind of voice and style of writing that had never existed before, and is incredibly important for that reason alone, not to mention being the front bookend of Pynchon's oeuvre. This first Modern Library edition features great, simplistic 1960's cover art by S. Neil Fujita. 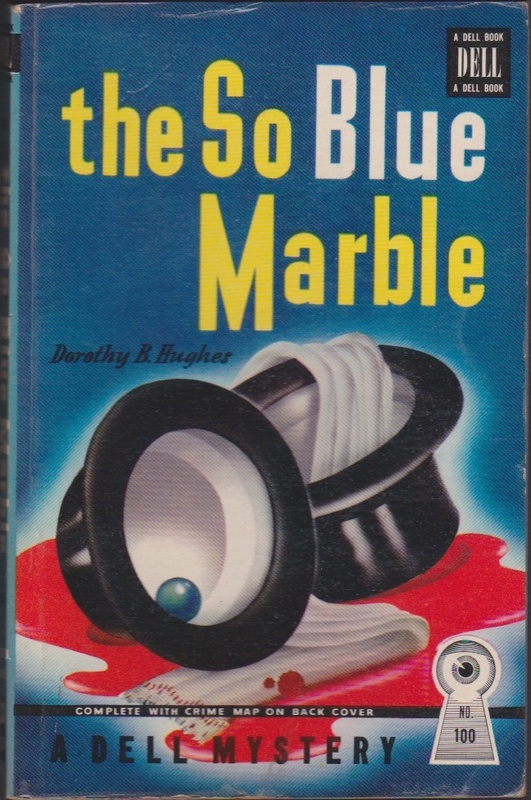 The So Blue Marble is Dorothy B. Hughes' first novel and foray into mysteries, a genre to which she would go on to dedicate the majority of her career. Hughes was one of the more talented and recognized female mystery writers of the 20th century, and The So Blue Marble marks the beginning of her fun-to-read stories of suspense from 1940. 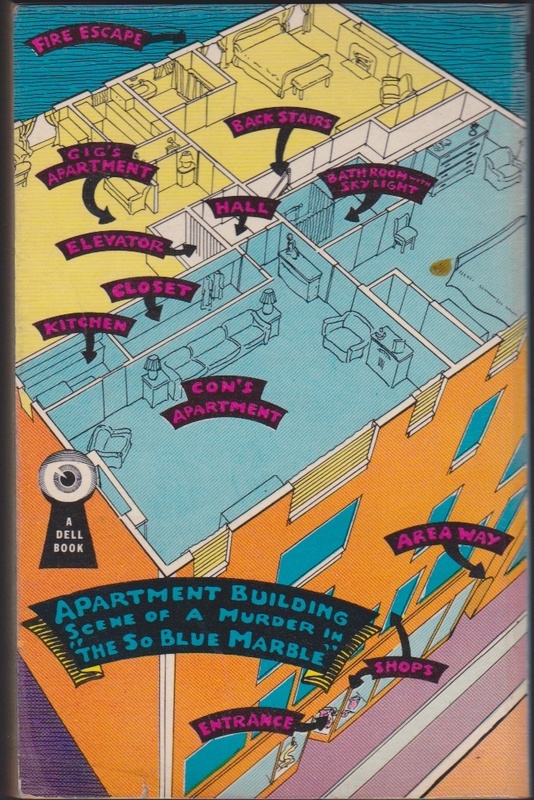 This Inspector Tobin mystery follows former movie star Griselda Satterlee as she comes to glittery, mid-century New York City to relax and stay in her ex-husband's apartment while he's away. Griselda quickly finds herself in the center of a plot to regain an ancient blue marble, which feature the identical, sinister Montefierrow twins, who are convinced that Griselda has the eponymous marble. The reader learns that the marble apparently holds a secret, ancient formula which can be used to master gravity. As bodies pile up around the city, Griselda must work with Inspector Tobin to get the twins off her back and end the string of murders. While the driving force of the plot is a little farfetched, Hughes' book is incredibly engaging to read and one will quickly overlook how fantastical it is. Featuring great cover art of the twins' matching top hats in a pool of blood (by an unknown illustrator), this Dell Mystery edition is a wonderful artifact of the genre. 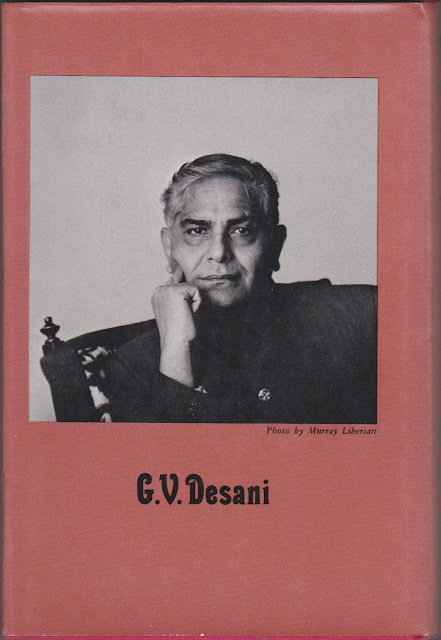 First published in England in 1948, Pakistani author G.V. Desani's only novel remains a strange, whimsical masterpiece following the title character's journey toward spiritual mastery and enlightenment. Hatterr, an Anglo-Malay living in Calcutta, seeks out seven different Sages in seven cities of the Far East to obtain their wisdom in various areas of living. Each section begins with Hatterr recounting the Sage's "instruction," then the "presumption" about the instruction, and concludes with Hatterr's "life-encounter" about the lesson wherein some hilarity and absurdities ensue. 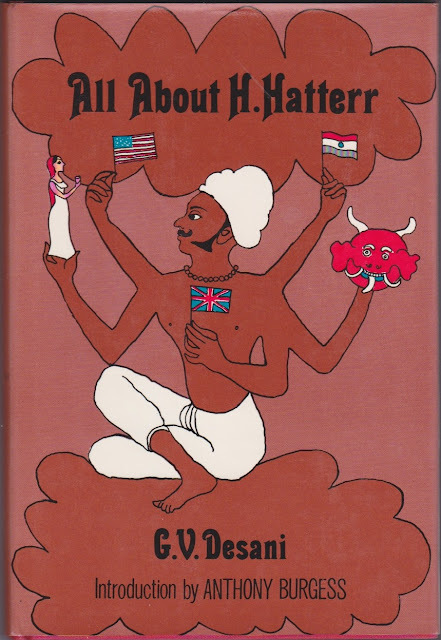 All About H. Hatterr has been praised by literary luminaries like Anthony Burgess (who wrote the introduction for this edition), Saul Bellow, and T.S. Eliot, all of whom regard Desani's only novel as an amazing comic and linguistic feat—which it definitely is. Desani's novel is filled with bizarre and unique slang, hilarious dialogue, and excellent wordplay that makes fun of anything close to a spiritual quest. The Sages, various tricksters, and other travelers Hatterr encounters are particularly ridiculous, and are some of the book's funniest moments. With excellent jacket design by Catherine Smolich for this edition published by FSG, All About H. Hatterr is a great, entertaining book that has somehow fallen through a lot of cracks, but definitely deserves to be read. 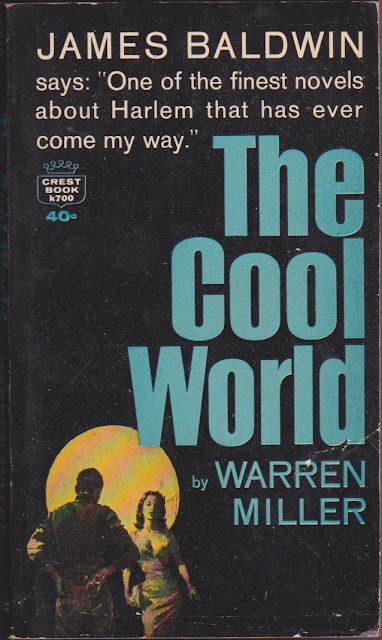 First published in 1959, The Cool World is the most famous of Warren Miller's work (all of which is relatively unknown) about a youth gang called the "Crocadiles" in 1950's Harlem, New York City. Narrated in the first person by the protagonist and Crocadile member Duke, The Cool World recounts the story of Duke and his gang's adventures and travails as they deal with street life in the ghetto and a rival gang called the Wolves. Drug dealing, fights, prostitution, guns, and gambling are rampant throughout this engaging, slim novel that rarely has a dull moment. Written entirely in African-American street vernacular of the time, Miller—a caucasian academic—accomplished a great, and mostly unnoticed, linguistic and narrative feat with this novel. The Cool World has been out of print since the late 1960's, but paperback copies aren't too difficult to come by—the featured copy above was published by Crest Books, a subsidiary of Little, Brown. Slightly better known than Miller's novel is a film adaptation by Shirley Clarke of the same name, also from 1964, which happens to be playing at Film Forum in New York on January 13th and 14th. I strongly suggest seeing it if you live in the five boroughs, as well as locating a copy of this forgotten novel. One of Simenon's later works featuring the renowned Inspector Maigret, Maigret in Vichy is a slightly different Maigret tale in that it doesn't take place in Paris and Maigret is not in the driver's seat for this mystery. While relaxing on vacation with his famously passive wife in the town of Vichy, Maigret can't help but let his detective mind get to work analyzing the town's inhabitants and others on vacation. He is quickly drawn to a lone woman he keeps seeing, and when murder invariably ensues the local police look to Maigret for his expertise, once again putting his poor wife on hold. 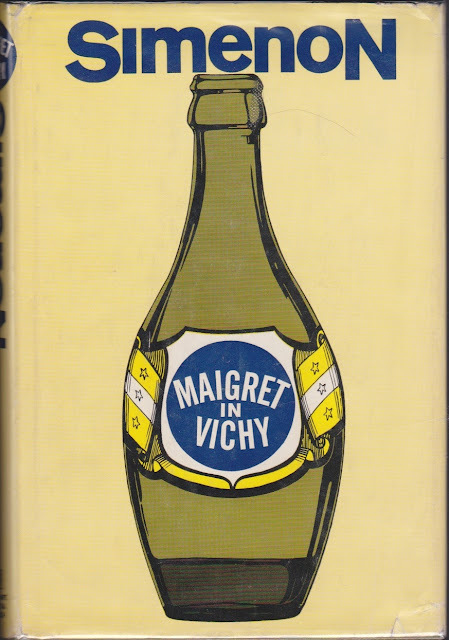 Maigret in Vichy is a quick engaging thriller like nearly all of the Inspector Maigret novels, but with a pleasant twist and change of scenery. This first American edition also has one of my favorite covers ever, featuring stellar, simplistic jacket design by Ken Braren. 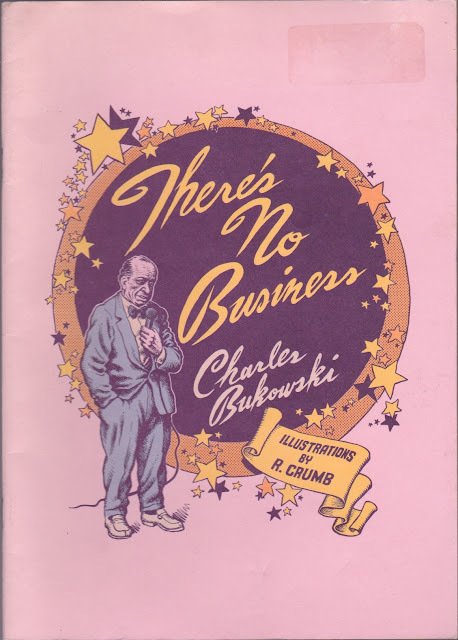 First published by the legendary Black Sparrow Press in 1984, There's No Business is another short story by Charles Bukowski published in a stapled, matte card-stock volume with amazing illustrations by R. Crumb. 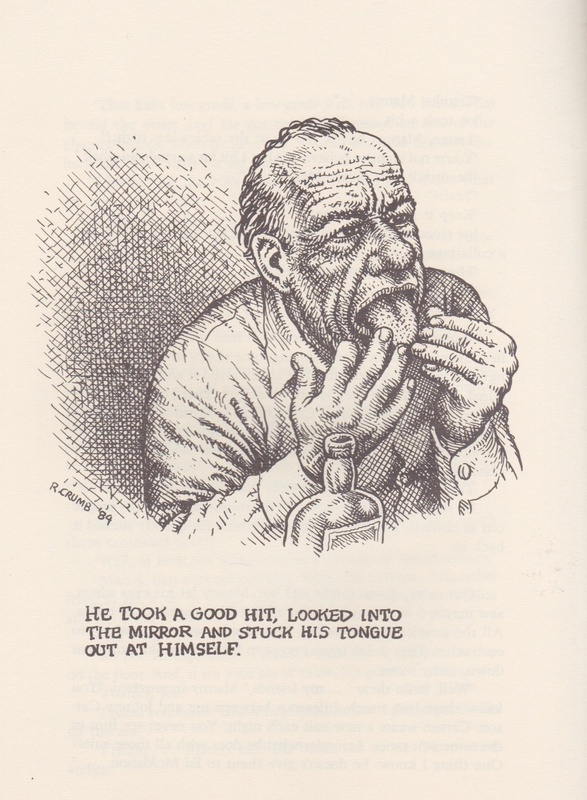 Bukowski's short story (barely 7 pages not including illustrations) tells the brief tale of over the hill comic Manny Hyman and his failure of an act. Like the majority of Bukowski's characters, Manny is an aging and depressed drunken mess, and this story highlights the travails of less than mediocre show business as Manny receives heckle upon heckle. Eventually a fracas breaks out, and, surprisingly though, a new star is born. 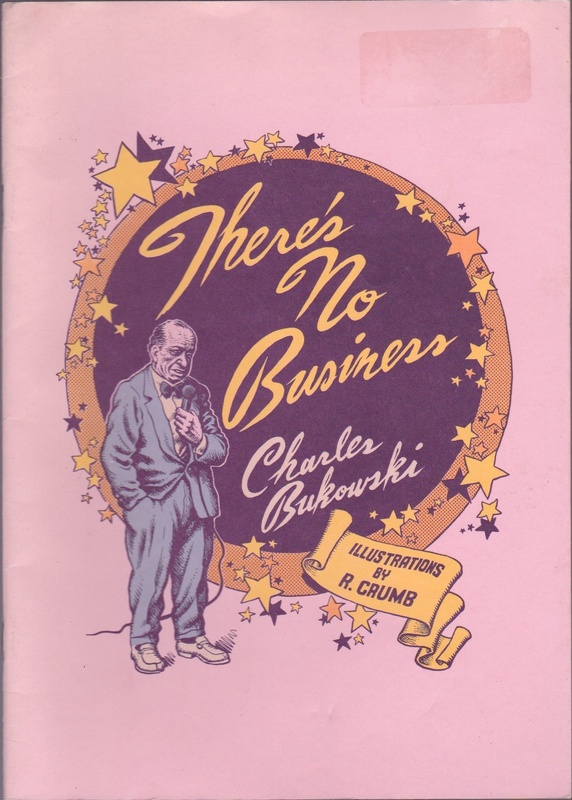 Bukowski's short stories never disappoint and There's No Business is no exception, not to mention being part of a great illustrated volume.